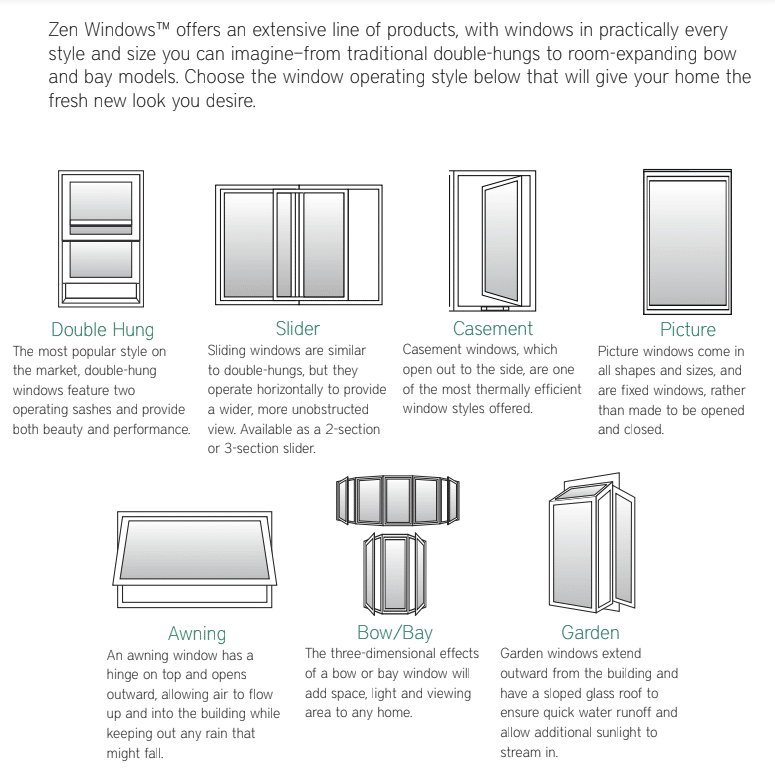 How Can Zen Windows Give You An Accurate Quote Without Going To Your Home? The short answer…replacement windows really aren’t that complicated and giving an estimate that both of us can live with won’t require a visit to your house or a pressure filled sales pitch. We’ve refined our system across the country after quoting tens of thousands of windows, and with some basic information from you, we’re able to give a FIRM quote without a house visit. How Long Will It Take To Get My New Windows Installed? Typically it’s 4-6 weeks from the time you get your quote, but often times it’s even less than 4 weeks. We get your quote back to you within 24 hours, then you schedule a measuring appointment, and 3-4 weeks later installation occurs. And remember…you don’t pay a dime until they’re installed perfectly! How much do your windows cost compared to Pella, Andersen, and others? Our windows are similar, if not better quality than a lot of the “big brands” but we typically offer slightly lower prices. How is this possible? Well think about the big brands, their massive sales staff, their showrooms, TV commercials, and all that overhead. That overhead has to get covered, and it’s the consumer who’s stuck footing the bill. At Zen, we run our business in a drastically different, but innovative way which helps us keep prices below these big brands. We Only Work On Residential Properties. We have a minimum purchase requirement of 4 windows (DH or DSL). Please note, we do not handle window repairs or glass replacement. How many windows are your replacing? What quality of window are you looking for? Are you replacing any bathroom windows? If so, how many? Are you replacing any larger than standard sized windows? If yes, please enter quantity below and list the sizes of those windows in the other details section below. If zero, just enter "0"
What colors do you want on the inside and outside of your windows? Do you need any sliding patio doors? When was the home built? Unusual shapes, rotten trim, how soon are you hoping to start your project, etc.